The following local residents have earned awards or honors from their respective colleges or universities. David Williams of Wauseon was named to the Dean’s List at Graceland University in Lamoni, Iowa. Students must earn a grade point average of between 3.25-3.64. Steven Young of Wauseon graduated from Azusa Pacific University in California with a Bachelor of Science degree. Peter Schoenhals of Archbold graduated from Cedarville University in Ohio with a degree in Middle Child Education. Julia Richer of Archbold graduated from Eastern Mennonite University in Harrisonburg, Va., with a Master of Arts in Education. At Bluffton University’s 118th Annual Commencement: Bree Youse of Wauseon earned a Bachelor’s degree in Accounting; Cody Stuckey of Fayette earned a Bachelor’s degree in Business Administration with a music minor; Cory Roe of Swanton earned Bachelor’s degrees in Accounting and Business Administration; Emily Short of Archbold earned a Bachelor’s degree in Biblical and Theological Studies with peace and conflict studies, psychology, and sociology minors; Shayla Hayes of Archbold earned Bachelor’s degrees in Early Childhood Education and Intervention Specialist; and Shelby Miller of Archbold earned a Bachelor’s degree in Spanish with an education studies minor. Justin Mourguret of Wauseon Daniel J. and W.J.K Snyder Prize (top graduating senior, male) and the Wickham Prize in Business at Heidelberg University. Marin Schaffner of Wauseon received the Athletic Training Pride Award at Heidelberg. Schaffner and Mourguet were also inducted into the Honor Society. 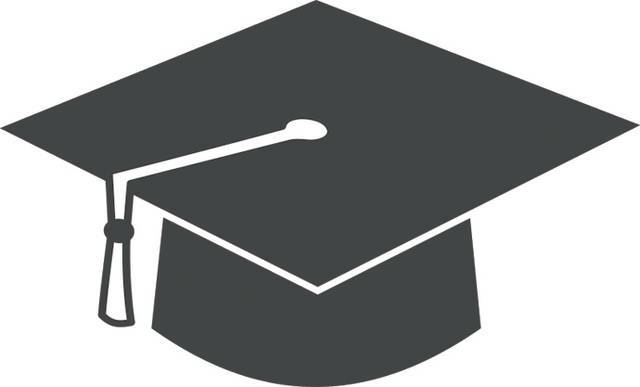 The following students graduated from Spring Arbor University in Michigan: Matthew Sauder, Wauseon, General Studies; Kendall Weber, Wauseon, Master of Social Work. The following students graduated from Trinity Evangelical Divinity School in Deerfield, Ill.: Trey Sonnenberg, Archbold, Master of Divinity; Scott Garlinger, Delta, Master of Divinity. Cole Shaffer of Lyons and Zachary Kruez of Swanton were awarded degrees during Miami University’s fall commencement exercises. Stacia Tietje of Berkey was named to the Dean’s List at Ashland University for the Spring 2018 semester. Elias King and Joshua Whitcomb, both of Wauseon, were named to the Dean’s List for Spring 2018 at Trine University’s main campus in Angola, Ind. To earn Dean’s List honors, main campus students must complete a minimum of 15 hours and have a grade point average of 3.500-3.749. Gabriel Beck, Jensyn Garrow, and Evan Wyse, all of Archbold, were named to Trine University’s main campus President’s List. To qualify, students must complete a minimum of 15 hours and earn a 3.750-4.000 GPA. Miriam Beck of Archbold was named to the Dean’s List at Eastern Mennonite University in Harrisonburg, Va. for Spring 2018. To qualify, students must achieve 12 semester hours of standard grades and a GPA of at least 3.75. The university also honored Melissa Kinkaid of Archbold with a Biology/Chemistry Award for Exceptional Service and Aaron Zimmerman of Archbold with STEM Celebration poster awards. Stacia Tietje of Berkey, Ohio, an Evergreen High School graduate, was named to the Dean’s List at Ashland University for Spring 2018. To qualify students must be enrolled full-time and achieve at least a 3.5 GPA. Anna Engle of Wauseon was honored at the University of Findlay event, “A Night Among the Stars,” as the Colleges Against Cancer Relay for Life top individual fundraiser.